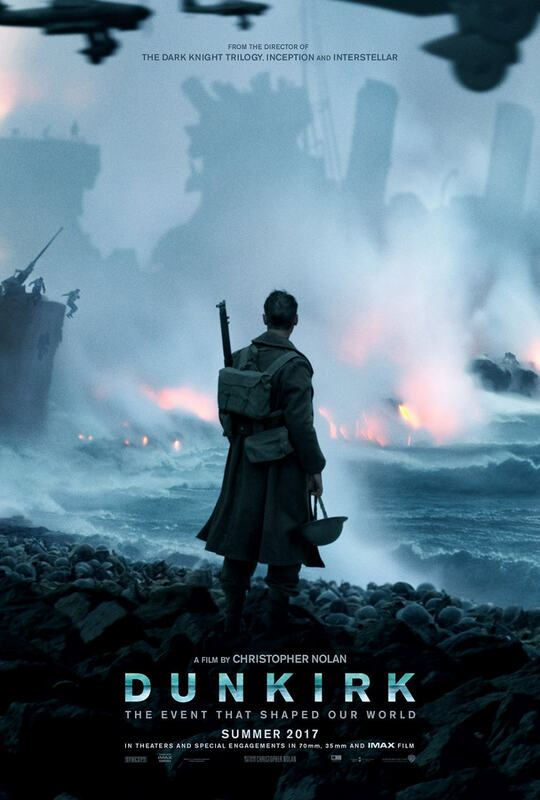 The new poster features a lone soldier standing above a sea of helmets, overlooking a beach in France, as combat takes place in the background. The poster conveys exactly what to expect from the plot of the film, which is about allied soldiers trapped on the beaches of Dunirk, France by Nazi forces. I’m not too familiar with what happens (and would rather not know), but I assume the allied forces overcome adversity in the face of danger and escape from impending doom. There’s no shortage of WW2 movies being released almost every year, so what makes this one more intriguing than any other? Well Nolan is directing it, which is pretty much all that needs to be known of the film. The great director takes writing and directing duties on this film, and is his first foray into the war sub-genre, so it will definitely be one to eagerly wait for. Dunkirk releases on 21 July 2017 in the USA. Check out the new poster below, and if anyone’s missed the first teaser trailer for the film, you can see it below that.